Personalised Ceramic White Mug Height 4 Inches & Diameter 3 Inches Approx. There are two moms in the world who hold you close to their heart- your birth mom and mother-in-law. 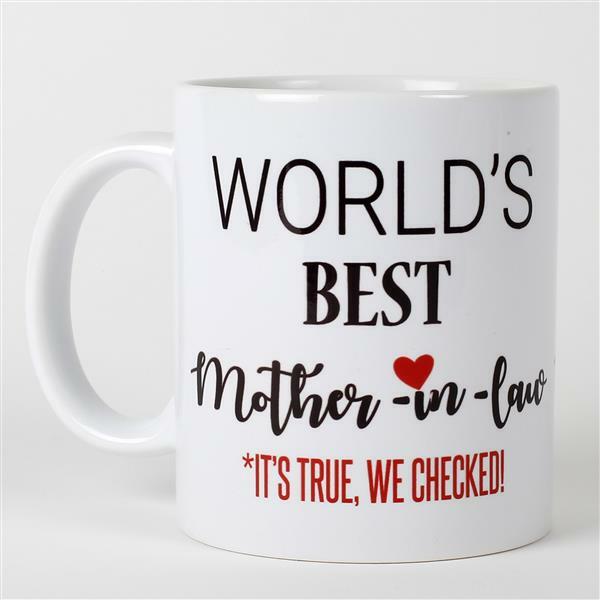 Surprise your loving mom-in-law with this beautiful ceramic mug this Mother's Day to show how lucky you feel to have her in your life. She would definitely love to enjoy her morning tea and evening brew in this mug.